Crowning Lake Washington's north shore, Kenmore's central location provides easy access to Seattle, Bellevue, and Everett. Boasting several miles of shoreline and pedestrian and cycling-friendly infrastructure, Kenmore is not only one of the Seattle area's newest cities, but one of its most inviting as well. Kenmore's city government is ambitious and eager to attract more private investment. Since its incorporation two decades ago, Kenmore has worked diligently to create a vibrant downtown core. So far, a new City Hall, public library, community building, public plaza, and two large residential apartment buildings have been completed. Further multi-million dollar developments are set to transform Kenmore's lakefront and revamp a historic landmark. The city has invested significant time and resources into redevelopment of the downtown core. The lower portion includes indoor/outdoor space for community gatherings with public art, a coffee shop, a sit-down restaurant, and pedestrian improvements. The upper portion consists of two luxury residential units with a total of 162 units, as well as a brand-new 20,000 SF Evergreen Health Clinic. 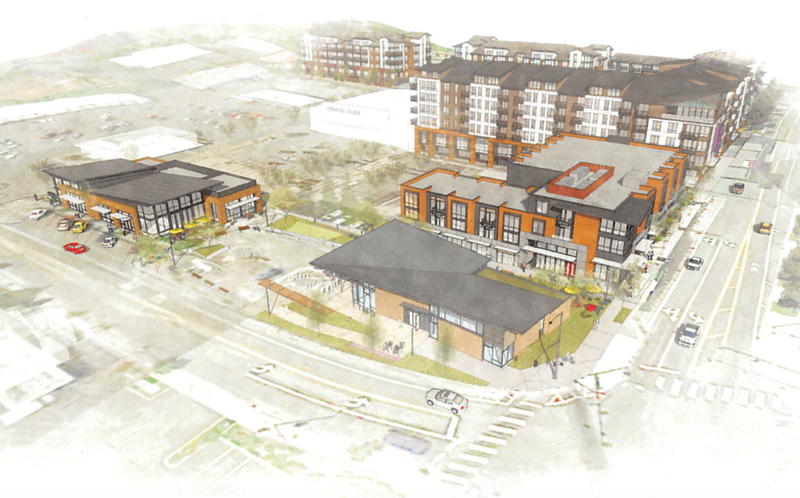 After almost three decades of planning, the City of Kenmore has partnered with Weidner and Associates to bring the Lakepointe Development on the north shore of Lake Washington to life. Weidner plans to invest $1 billion to create a community and regional destination featuring a waterfront amphitheater, restaurants, retail, and residential units, as well as infrastructure improvements and a floating pedestrian/cycling path to connect the development to the newly-improved downtown core. After sitting vacant for 40 years, the state has approved the private restoration and development of the historic Saint Edward Seminary in Saint Edward State Park. With an eye to restoring the stunning Romanesque Revival architecture and Art Deco interiors, the former seminary will be transformed into a luxury hotel with 80-100 guest rooms, a conference center, meeting rooms, a wellness spa, restaurant, and cafe. Source: Costar, REIS, NWMLS and Dupree & Scott. Statistics are for Kenmore and surrounding markets. Cap Rate calculated from Costar and Dupree & Scott for all of 2017 only. Statistics shown above are a blend of all qualities on investment spectrum (class A, B, & C). The Sound Transit 3 expansion will establish Bus Rapid Transit service through Kenmore. BRT provides fast, reliable bus service every 10 minutes in peak hours. The new BRT stations and transport corridors will provide a direct line from Kenmore to Seattle Light Rail and UW Bothell.